«Norwegian authorities are again considering the use of nuclear weapons against Norway or close to Norway as a not unthinkable scenario,» reads a new threat assessment report. «We have a good emergency preparedness in case of nuclear events. Maybe the best in Norway,» says Magnus Mæland. He is office manager with the local municipality in Kirkenes, a town with about 10,000 inhabitants, a 15 minutes drive from the border to Russia’s Kola Peninsula. Mæland and his team is well aware of the potential risks by being neighbors to naval bases with reactor-powered submarines carrying dozens of nuclear warheads on regular voyages in the Barents Sea. The threat assessment has changed dramatically over the last few years. In the north, nuclear submarines from Russia, the U.S. and United Kingdom are again playing cat-and-mouse and sail more than anytime before since the end of the Cold War. «There is an increased likelihood for nuclear and radiological material being used in malicious acts,» the report reads and continues by listing other serious trouble-factors that could have consequences for Norway: Terror attacks on nuclear facilities, increase in naval nuclear-powered vessels sailing in the high north, transport of nuclear cargo along the coast, startup of Russia’s floating nuclear power plant, handling of nuclear waste and accidents at an ageing numbers of nuclear power plants around the world. The report could as well mention Putin’s new nuclear-powered cruise missile and underwater drone that both are likely to be tested in and over Russia’s Barents Sea. «Radioactive deposition, contamination and exposure to ionizing radiation may have impact on life, health, the environment and other public interests,» the report concludes. In the vicinity of about 140 kilometers from the border to Norway, Russia has some 30 nuclear-powered submarines, a fleet of civilian nuclear-powered icebreakers, a nuclear-powered battle cruiser, a nuclear power plant and several storage sites for radioactive waste and spent nuclear fuel, like the Andreeva Bay. Also, more than 1,000 nuclear warheads are deployed and in storages. For Magnus Mæland and his emergency preparedness team in Kirkenes, the nuclear weapons is big politics to be dealt with at the international stage. «We are not afraid, but our job is to stay updated with the best available emergency preparedness,» Mæland says. The municipality is in charge of distributing iodine pills as part of the plan to protect children, youth and pregnant women in case a cloud of radiation suddenly blows towards Norwegian territory. In Kirkenes, all schools and kindergartens have iodine pills ready and the teachers are drilled on what to do in case the national alarm is triggered. Young people are particularly vulnerable during exposure of radiation. 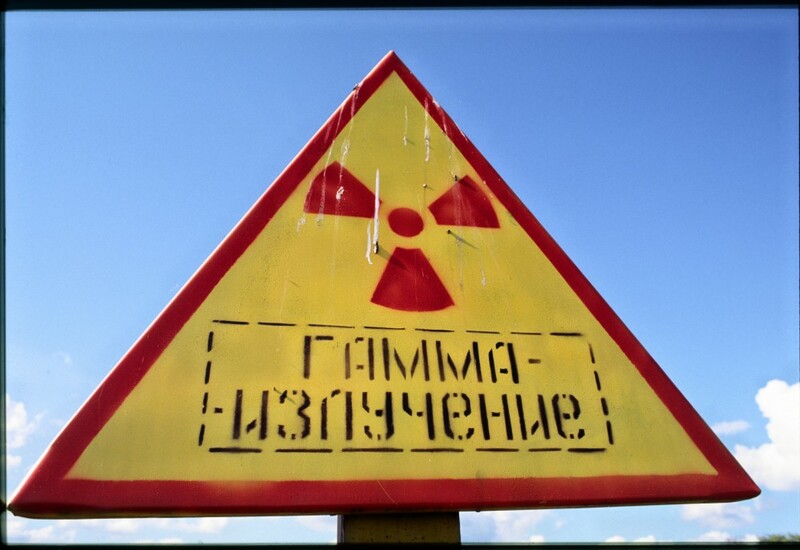 Iodine pills are aimed at substituting radioactive iodine-131, one of the isotopes likely to be spread from a reactor-accident. Iodine, however, represents just a tiny percentage of radioactive isotopes a human body would be exposed to in the event of a nuclear accident, or bomb detonation. 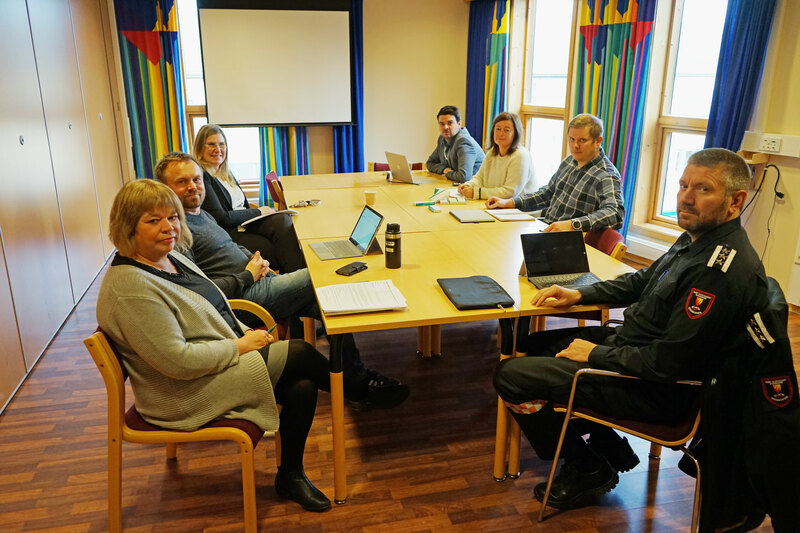 On Friday, the emergency preparedness team in Kirkenes met again to discuss possible ways to improve readiness. On the national level, Norway has a nuclear emergency preparedness organization with a well-trained crisis committee headed by the radiation protection authorities. Serious accidents with nuclear-powered vessels is one of the scenarios the crisis committee is prepared to deal with. In mid-September, the radiation watchdog published an updated recommendation on distribution of iodine pills, saying all municipalities should do like Kirkenes and make the pills ready where children and youth are, including at schools and kindergartens. A goal is to make iodine pills available for everyone with kids to store at home. In case of a radioactive cloud, people should stay indoor, and not running around looking for places to get the pills. Although Norwegians in the border area to the Kola Peninsula are mostly worried about accidents in the east, the national emergency preparedness points to allied nuclear powered submarines as another increased risk factor. Previously, the majority of allied submarines visited Haakonsvern naval base near Bergen, but more and more of the sailings into Norwegian waters are now coming to Northern Norway. Especially outside Tromsø, the report says. A challenge for Norway is the lack of suitable ports for submarines in the north. Just a few years before international tensions again became colder, Norway sold its submarine base Olavsvern near Tromsø. Today, it is privately owned and used for civilian purposes. One port under consideration to serve allied submarines in need of crew-exchange or other services is Tønsnes just north of Tromsø. The port is strategically located inshore from the submarines patrolling areas in Norwegian Ocean. 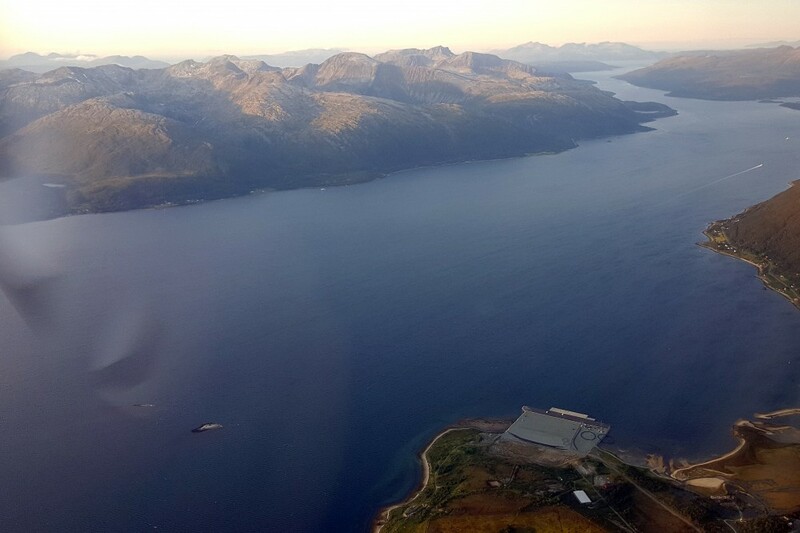 From a safety point of view, it is outside urban areas, but still near Tromsø airport. «The increase in port calls to Norway leads to a higher risk of Norway being affected by a larger or smaller incident with a reactor-powered vessel. Grounding, collision, leakage, fire or serious reactor breakdown will require action from Norwegian authorities,» the risk assessment report reads. 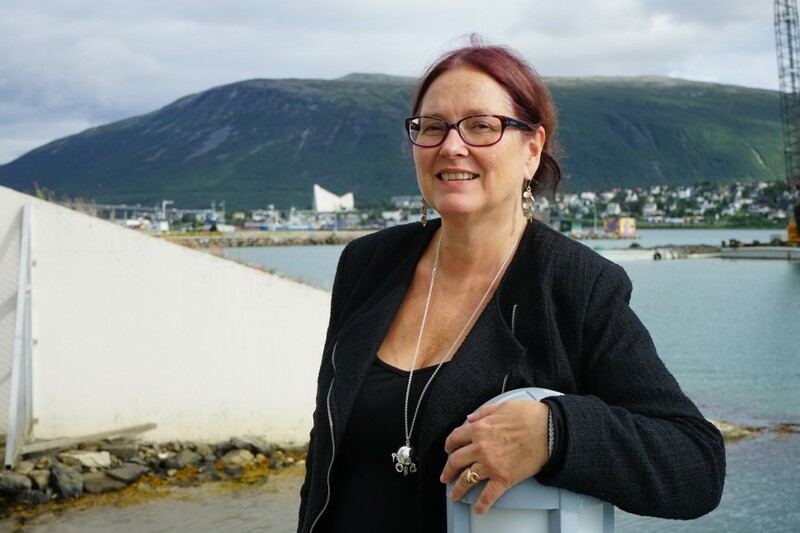 Inger Eikelmann is Head of the Tromsø-based High North Section of the Radiation Protection Authority. She says to the Barents Observer that no nuclear-powered submarines will be given permission to make a port call without all emergency preparedness measures are in place.